This dataset showcases the Medically Unlikely Edits (MUEs) for outpatient hospital services as defined for many Healthcare Common Procedure Coding System (HCPCS) / Current Procedural Terminology (CPT) codes, the maximum allowable number of units of service by the same provider, for the same beneficiary, the same date of service, on the same claim line. Reported units of service greater than the MUE value are unlikely to be correct. The Centers for Medicare and Medicaid Services (CMS) developed the Medically Unlikely Edit (MUE) program to reduce the paid claims error rate for Part B claims. The first edits were implemented on January 1, 2007. Subsequently, there have been quarterly updates increasing the number of edits. 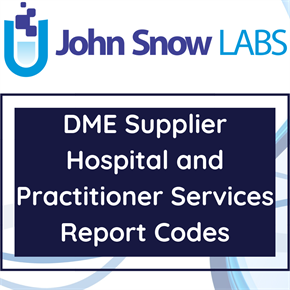 The edits were developed based on anatomic considerations, HCPCS/CPT code descriptors, CPT instructions, CMS policies, nature of service/procedure, nature of the analyte, nature of the equipment, and clinical judgment. Prior to implementation, all edits were reviewed by national healthcare organizations, and their alternative recommendations were taken into consideration. A Medically Unlikely Edit (MUE) is a US Medicare unit of service claim edit applied to Medical claims against a procedure code for medical services rendered by one provider/supplier to one patient on one day. Claim edits compare different values on the medical claim to a set of defined criteria to check for irregularities, often in an automated claims processing system. MUEs are designed to limit fraud and/or coding errors. They represent an upper limit that unquestionably requires further documentation to support. The ideal MUE is the maximum unit of service for a code on the majority of medical claims. MUE is part of the National Correct Coding Initiative (NCCI) to address coding methodologies. The MUE Outpatient Hospital Services for the second quarter of 2017 is released on CMS website on June 02, 2017 and will be effective from July 1, 2017 to September 30, 2017. CPT codes, descriptions and other data only are copyright 1995 - 2016 American Medical Association. All rights reserved. CPT is a registered trademark of the American Medical Association (AMA).